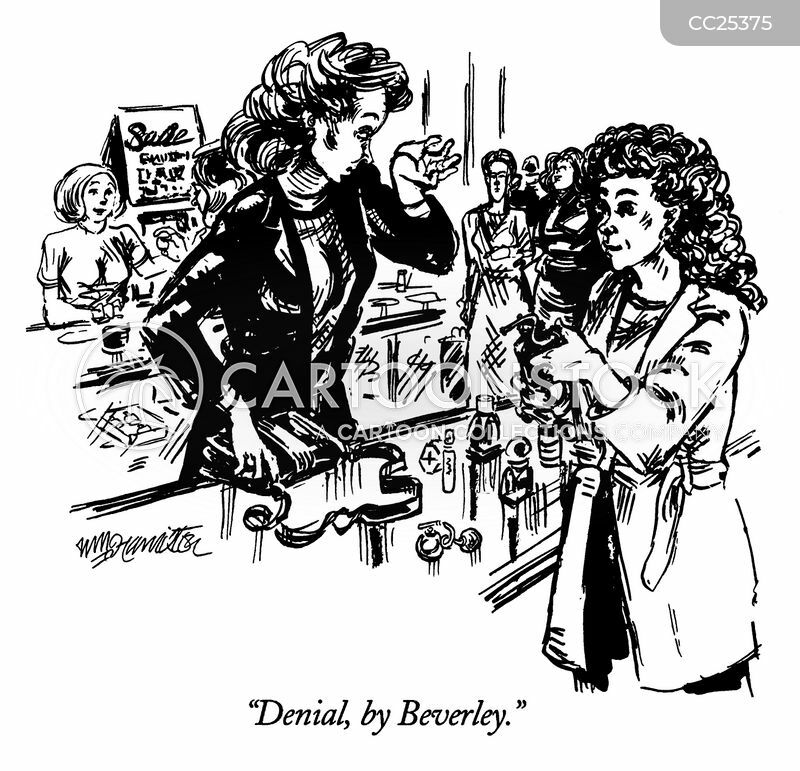 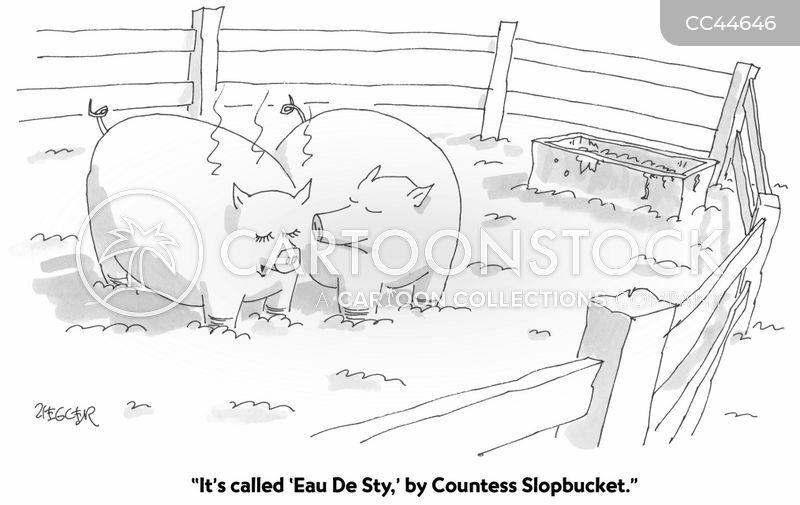 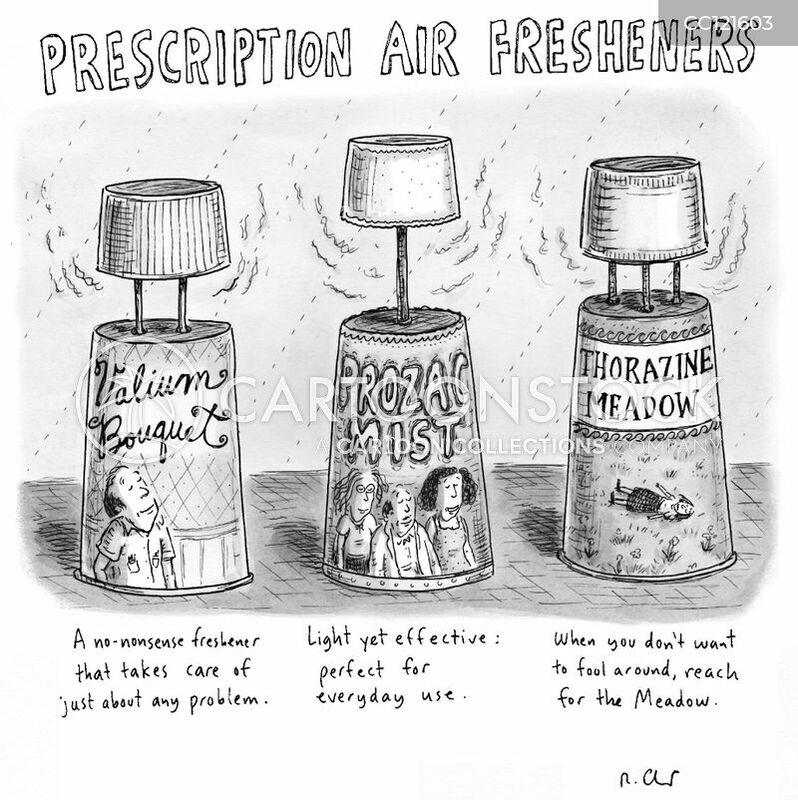 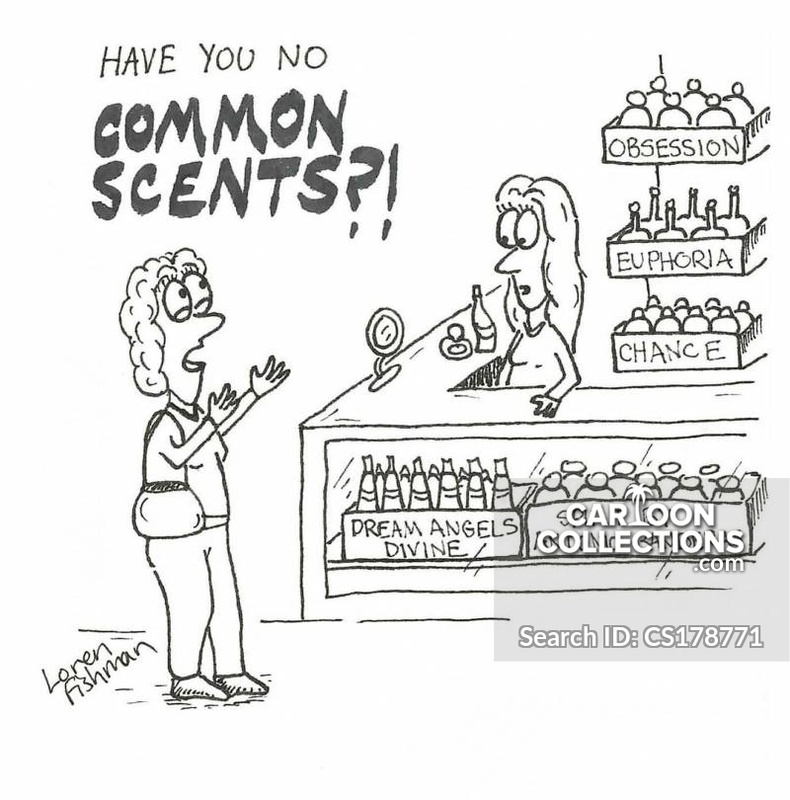 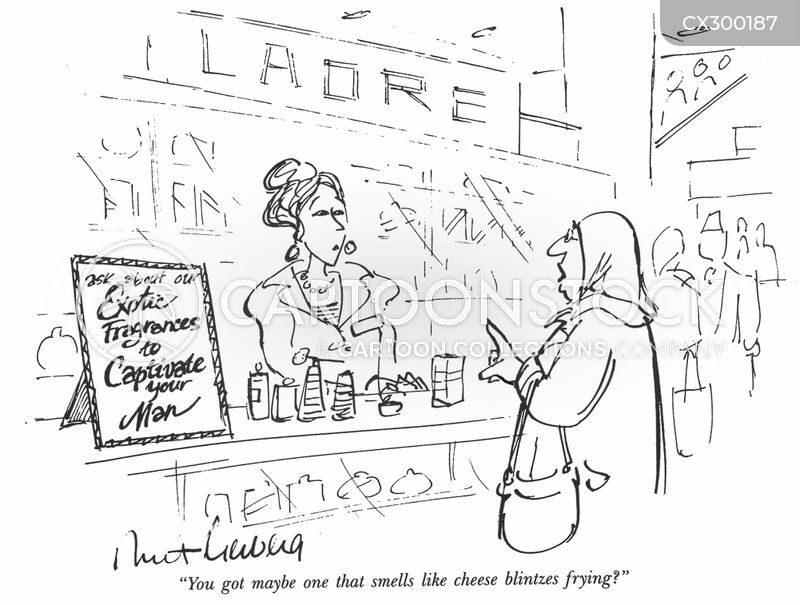 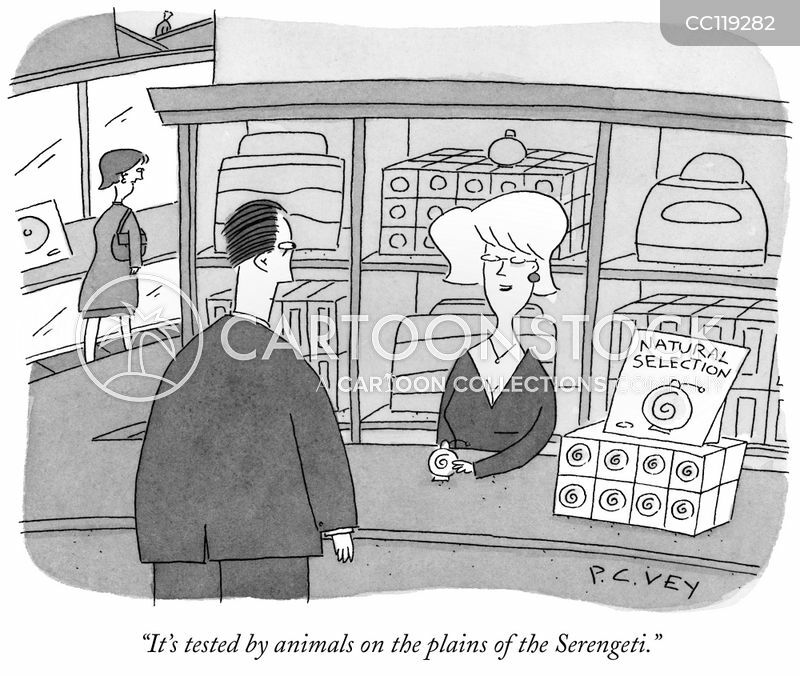 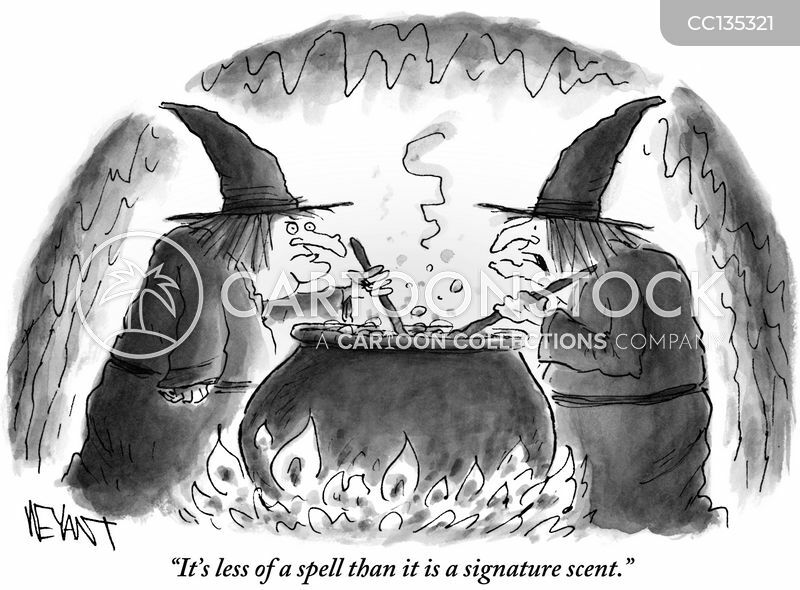 "It's less of a spell than it is a signature scent." 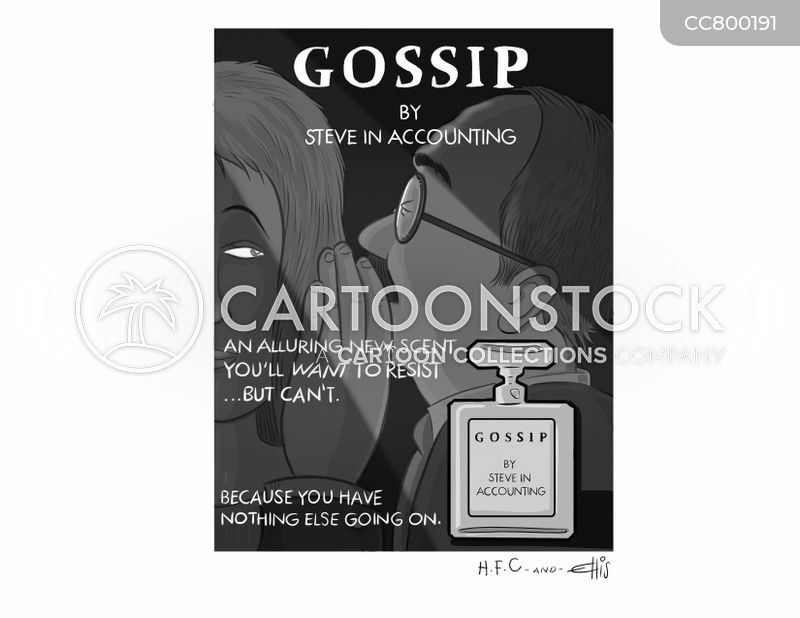 "Gossip by Steve in Accounting - An Alluring new scent you'll want to resist...but can't. 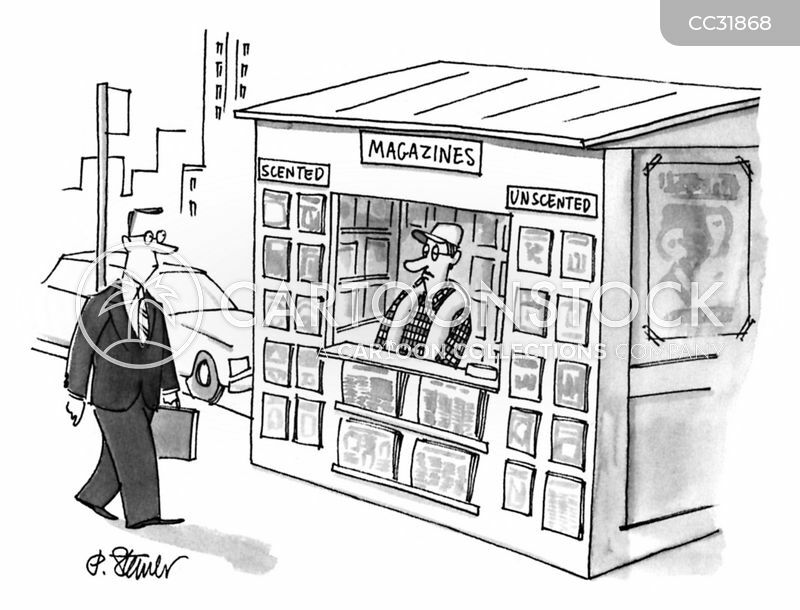 Because you have nothing else going on." 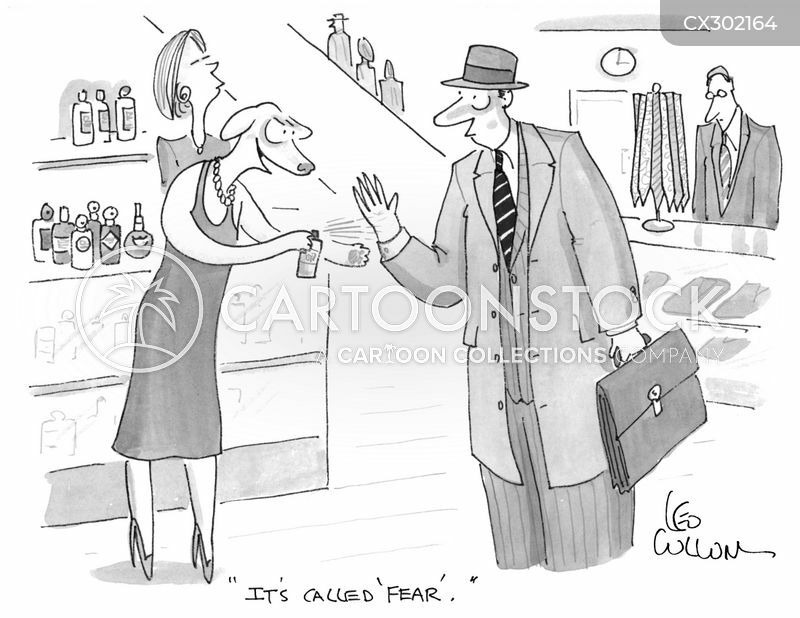 "Maybe you recognize me. 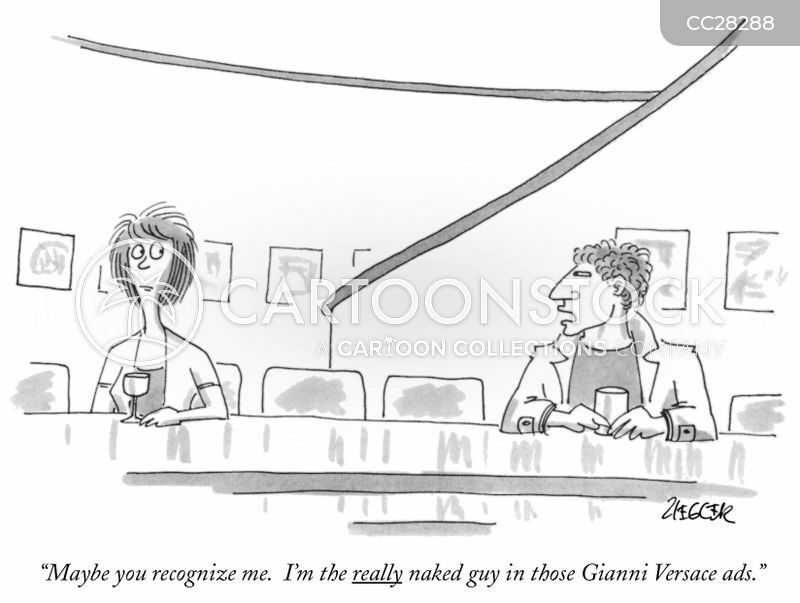 I'm the really naked guy in those Gianni Versace ads." 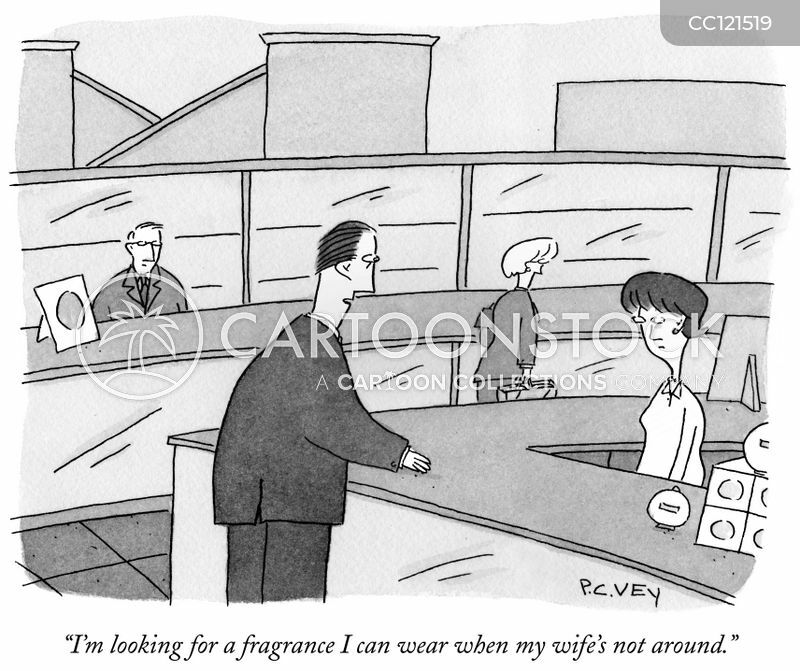 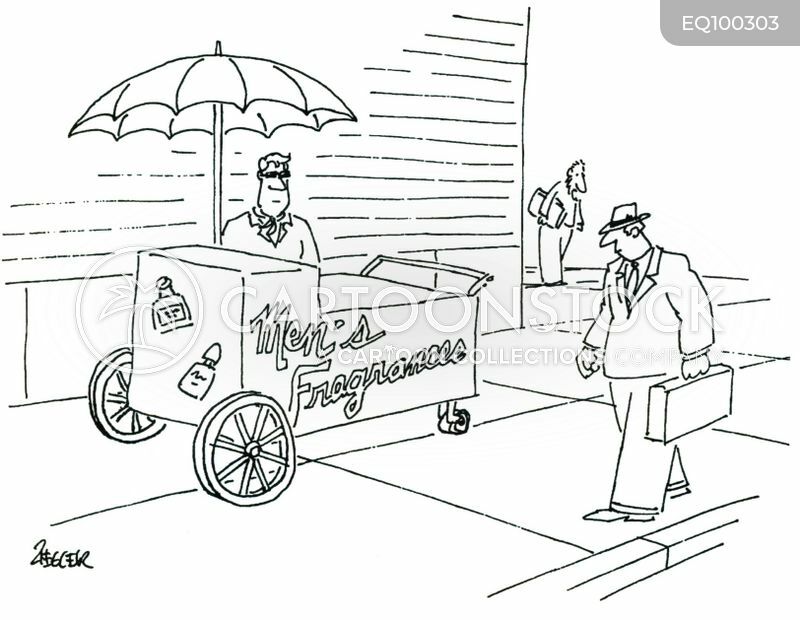 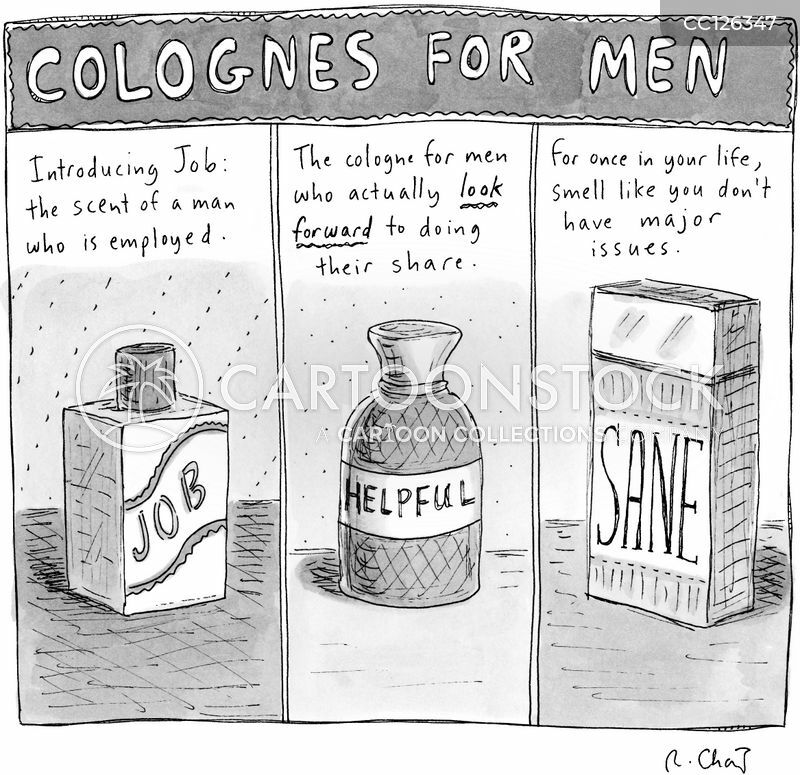 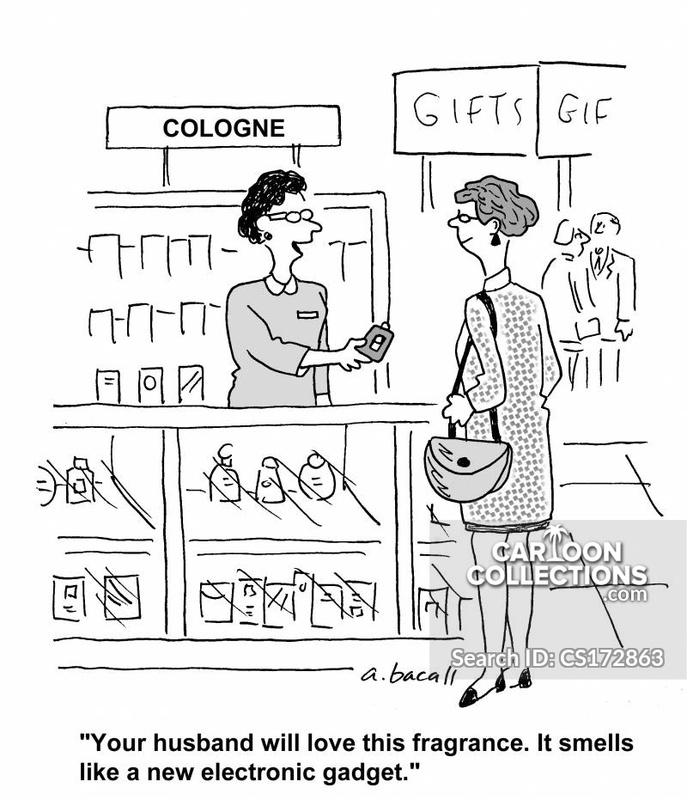 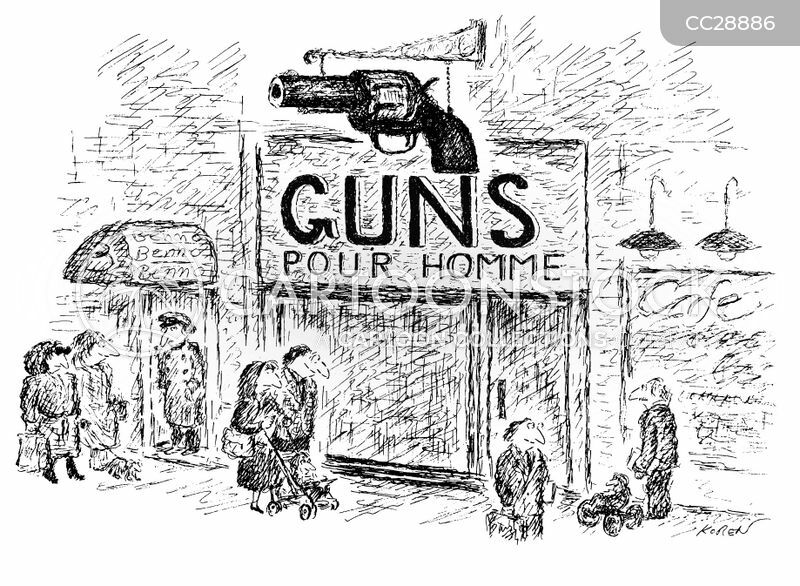 "I'm looking for a fragrance I can wear when my wife's not around." 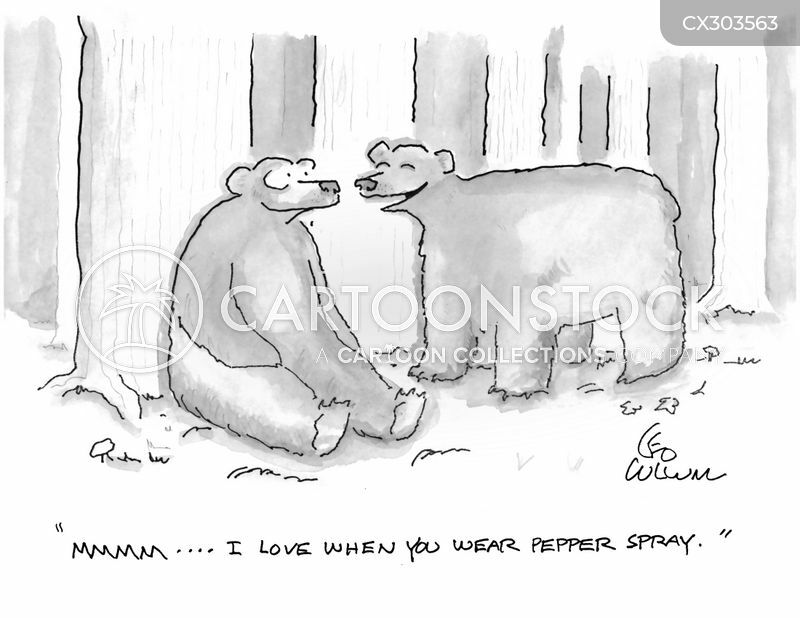 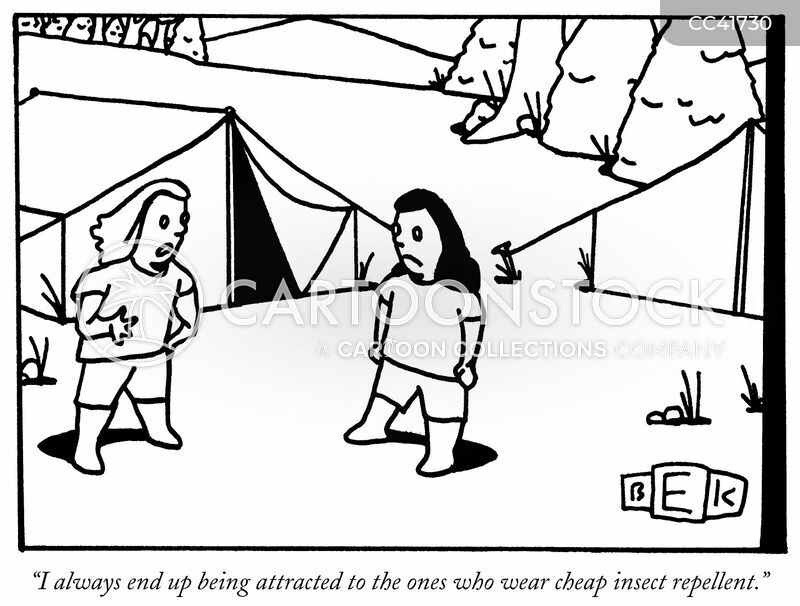 "I always end up being attracted to the ones who wear cheap insect repellent." 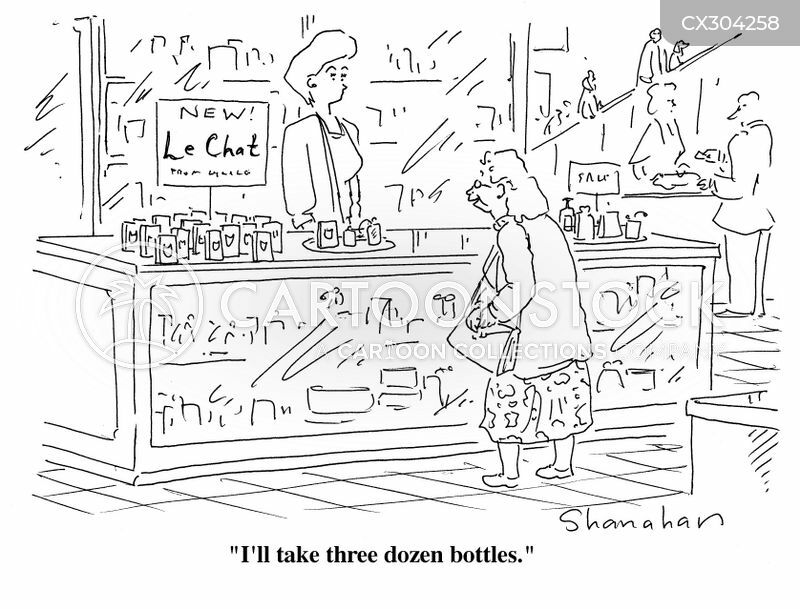 "I'll take three dozen bottles." 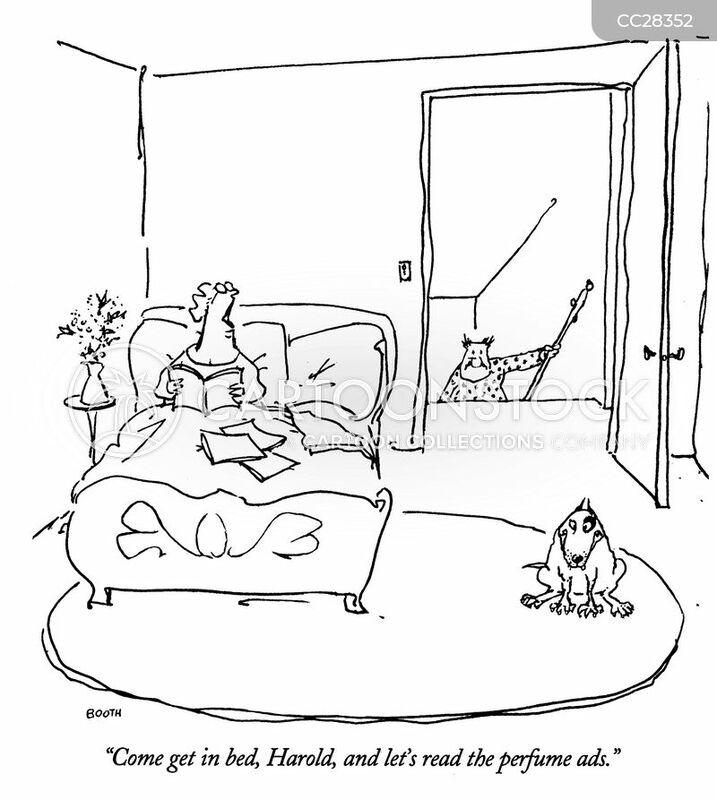 "Come get in bed, Harold, and let's read the perfume ads." 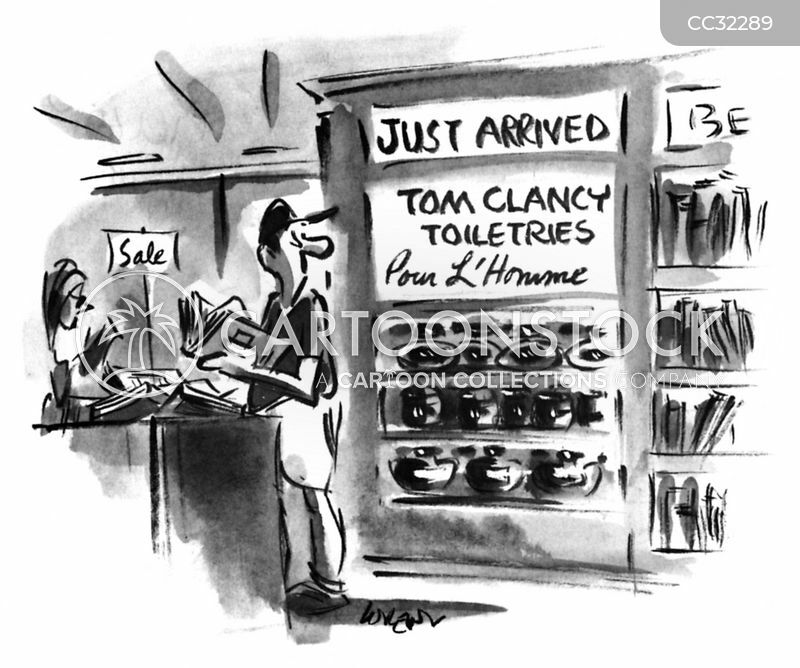 Just Arrived: Tom Clancy toiletries.